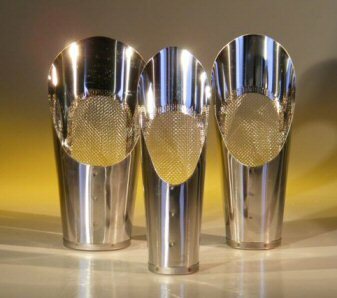 Stainless steel 3 piece scoop set with screen. Handy for mixing bonsai soil and for scooping bonsai soil into bonsai pots. These scoops have fine built-in screens (17 meshes per inch) which sift out dust as you scoop. Base diameters measure 1.5", 1.75" and 2.0"